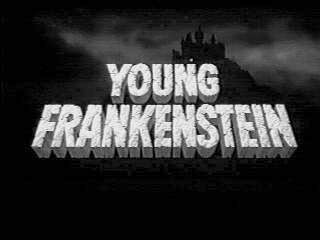 A parody of numerous Frankenstein movies, the film was shot in black and white to simulate the old monster movie feeling. The grandson of the famous Dr. Victor Frankenstein is a neurosurgeon who has spent his life living down the legend of his grandfather, even changing the pronunciation of his name. This film was nominated in 1975 for Oscars in Best Sound and Best Writing. The film was shot in the same castle as the original "Frankenstein" (1910). Also the lab equipment used was the same as in the old "Frankenstein" movie. Mel Brooks made a cameo appearance in this film, making the sound of the off-screen cat screaming when hit by a dart.